Clareville Kiosk is located opposite the picturesque Clareville beach and offers a top quality dining experience in a relaxed beachside setting. Nathan and Rob took over the restaurant in 2015 and have since been working together to bring a more modern edge to the restaurant and it’s rapidly making a name for itself. 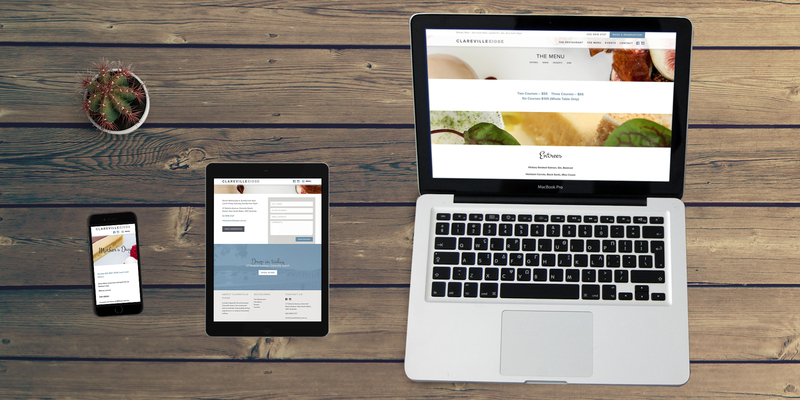 Nathan approached us to redesign and develop the restaurant’s website that would both reflect the fresh new feel of the owner’s and be easy for him to update. After the initial website requirements meeting where we outlined our recommendations, Nathan also opted to update the branding itself to represent more of the restaurant’s present values. 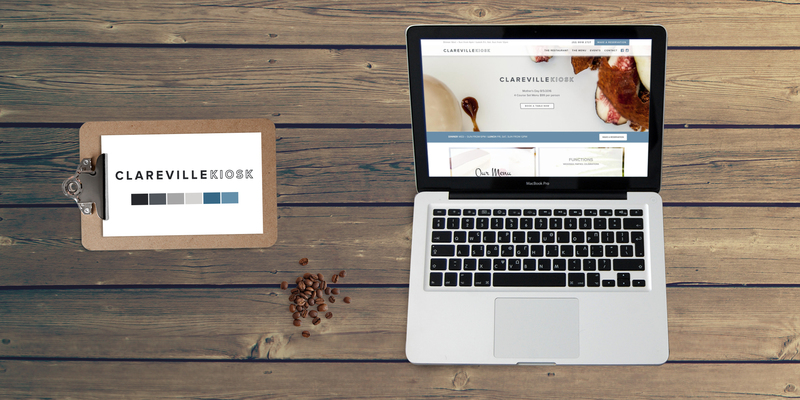 The only downside to working on the Clareville Kiosk site is that everyone in the office was constantly hungry! The new brand we created featured a clean and modern font, legible and elegant on both a menu, the website and the signage at the front of the restaurant, as well as a secondary brush script used to complement and emphasise. Using soft blues and greys pulled from the beach surrounding the restaurant and the building itself, the new branding was a big hit with both new and existing customers. NEED HELP TO TRANSFORM YOUR BRAND? We launched Clareville’s new website to correspond with some exciting updates from the guys; they were changing their opening hours and introducing a new six course menu option. They also had a photoshoot to produce some great shots of the food and the location. The design of the site placed a heavy emphasis on these shots of the food, enticing people to book online with the call to actions scattered throughout the site. As the Clareville menu changes weekly to keep things fresh, we ensured the entire site was very easy to edit so it could adapt and update as needed.